Thinking about getting a small pet like a hamster, guinea pig, or house bunny? The cage or pen will be your rabbit’s nest; rabbits usually prefer to have a safe area they can call their own. Set the cage (nest) on the floor, in an area where you spend time, such as the living room or family room. Do not put the cage near a heater or a loud TV or stereo. Always provide shade from a sunny window. When secluded in one room, such as a bedroom, they may be cut off from the family and unsure of the area outside. The more contact you have with your rabbit, the more you will enjoy each other. The majority of a rabbit’s diet should be loose hay, Charland said, and not the commercial pellets that used to be popular in the past. 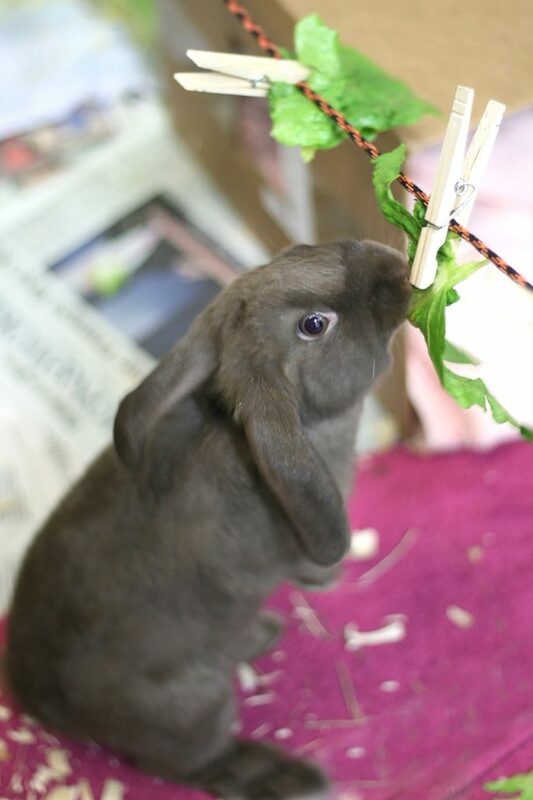 Rabbits need a high-fiber diet full of leafy greens like endive and kale. Treats should be given sparingly (and think twice before you grab a colorful box in the grocery store). Tim Patino, president of the Great Lakes Rabbit Sanctuary, recommends mint, or a slice of carrot or fruit as an occasional treat. A rabbit-proofed room or a large pen is a must-have. Pierce recommends a 16-square-foot pen, but notes that rabbits should still have plenty of time to be active outside of the pen, about three or four hours a day. Plan on taking your rabbit to the vet as soon as you get it and returning for yearly check-ups, as long as there are no apparent health issues, in which case you may need to see your vet more often. 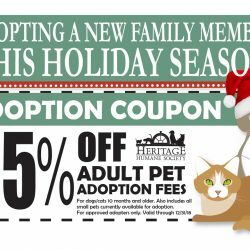 Did you know the Heritage Humane Society Adoption Center handles hundreds of pets like these every year? 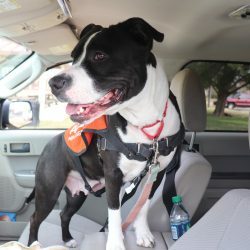 What many people don’t know is that – while these pets don’t take up much space, they are still a lot of work, and need human interaction, attention and veterinary care, just like a dog or cat. 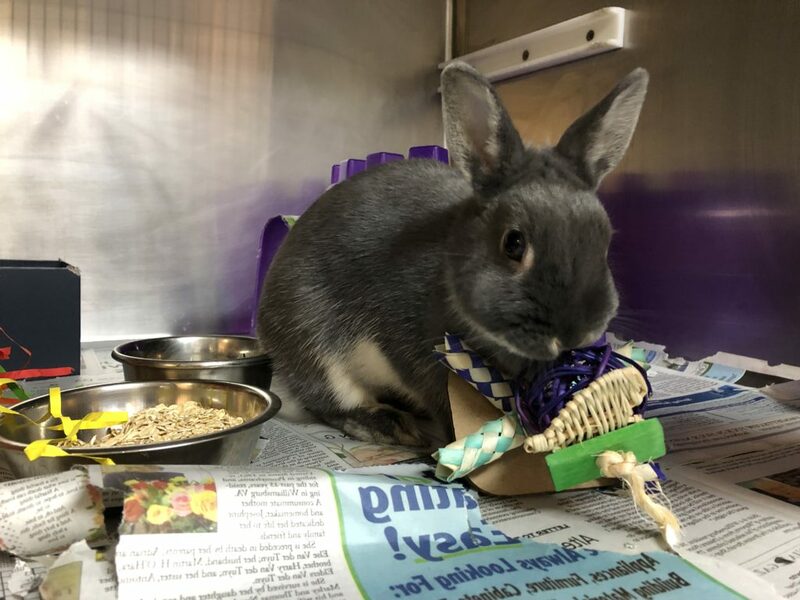 Every once in a while we’ll have families want to adopt a bunny as a “starter pet” for their kids to learn responsibility. While bunnies do teach responsibility, they require A LOT more attention and daily maintenance than what some people may think. Did you know bunnies can live up to 12 years? Bunnies need a sleeping area, and a “fenced area” to romp and stretch their legs. It’s unhealthy to keep them in small cages for long periods of time. Rabbits are crepuscular, which means that they generally sleep during the day and during the night, but are ready to play at dawn and twilight. So, if you’re at work during the day, they won’t mind so much being in a cage. But they MUST be let out for at least several hours each day, both to exercise and to have social interaction with you. Did you know? Bunnies can be litter trained? Because bunnies can be litter box trained (yes, just like a house cat) some people even allow bunnies to romp freely around their house (under supervision). It’s always important to keep an eye on your bun because bunnies are born to chew! And they will chew on anything that is their height; this means baseboards, electrical cords, and furniture legs. Bunnies as well and hamsters and guinea pigs need enrichment to keep their minds busy. Rolled oats box; cut off the bottom to make a tunnel for tiny rabbit. Be sure he won’t get stuck! Have your rabbit spayed or neutered at about 4-6 months of age by a veterinarian experienced with rabbits. Thiswill help with litter box training and general behavior. Do not leave your rabbit unattended outside as rabbits scare easily and can dig out of a fenced yard. Also, keepthem from poisonous plants and pesticides. You can try an “H style” cat harness and a leash, but begin in a safe and familiar area. The majority of the house rabbit diet should be composed of grass hay (any variety). Grass hay is rich in Vitamin A and D as well as calcium, protein and other nutrients. Eating hay promotes healthy teeth and gastrointestinal tract and should be available to your rabbit at all times. Varying the type of grass hay or mixing hays is a great idea (such as timothy, orchard, oat hay, brome, etc). Avoid the use of alfalfa hay as the primary source of hay due to the fact it is very high in calories and protein, far more than the average house rabbit needs. Alfalfa is not a grass, but rather a legume (in the pea and bean family). 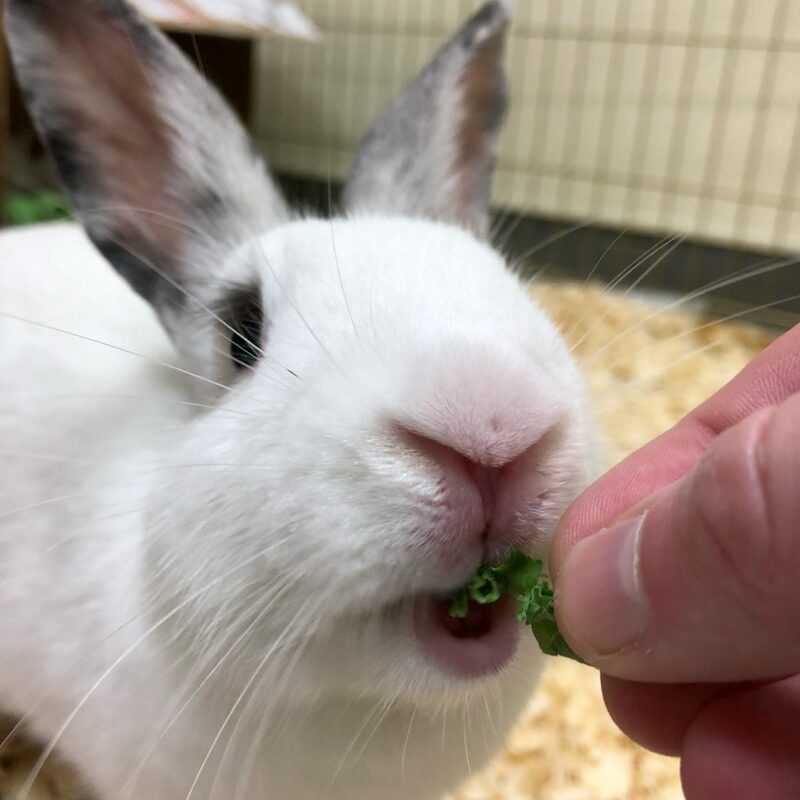 Fresh foods are also an important part of your rabbit’s diet and they provide additional nutrients as well as different textures and tastes, which are enriching for your friend as well. Fresh foods also provide more moisture in the diet, which is good for kidney and bladder function. The bulk of fresh foods should be made up of leafy greens (about 75% of the fresh part of the diet). Any leafy green that is safe for a human or a horse to eat is safe for a rabbit to consume. 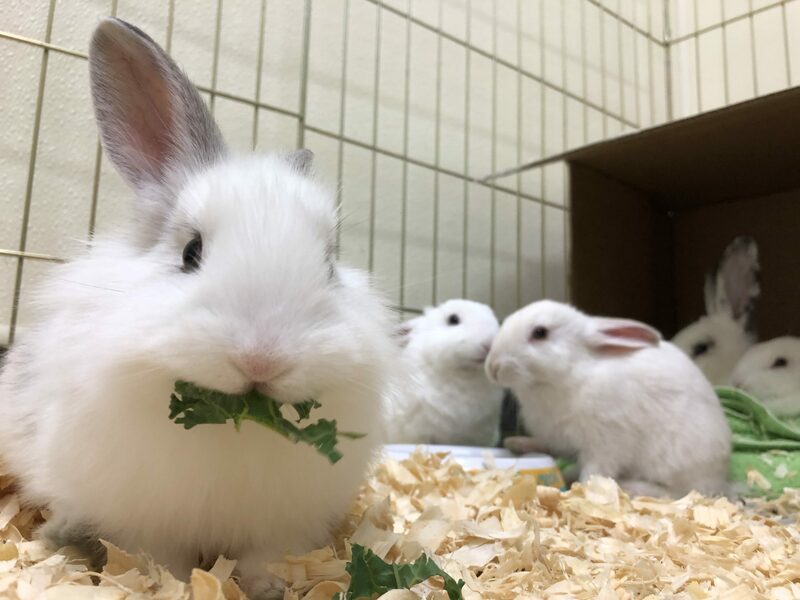 An approximate amount of Bunny greens to feed would be around 1 cup of greens for 2 lbs of rabbit body weight once a day or divided into multiple feedings a day. Bored rabbits become naughty rabbits. If you’re not around to talk to or pet your rabbit as you prepare dinner, watch TV or just read, your rabbit will become very bored. That’s when rabbits generally get into trouble by digging in the carpet, chewing on forbidden objects or eating your couch. A very large hole can appear in the carpet in just a few minutes. Young rabbits are generally the ones who get into this type of mischief. So, even if your rabbit starts out this way, you might check every few months to see if she can earn more freedom as she ages. Often, the bathroom, laundry room, kitchen or a bedroom are good, safe places to confine your rabbit while you’re away. 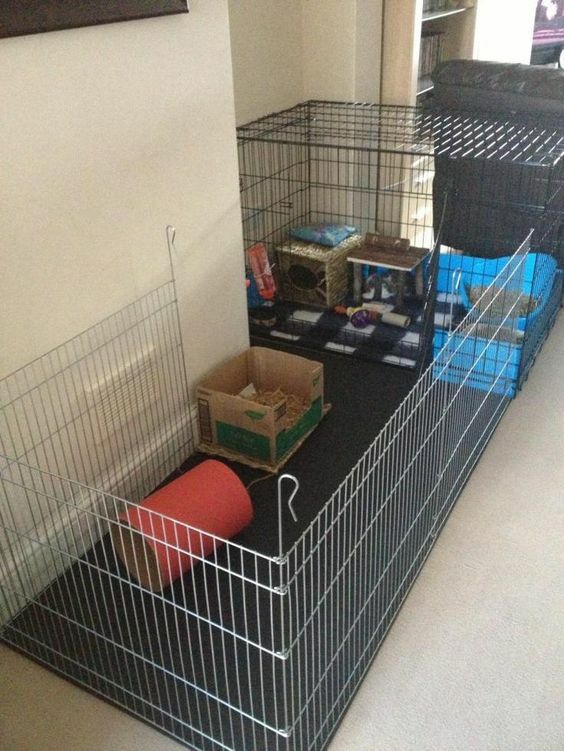 These rooms are easy to rabbit-proof. If none of these rooms is practical, then you’ll probably have to consider an indoor cage or pen. Free run of the house is what we strive for and what many of us are able to achieve. This definitely requires more work on your part. 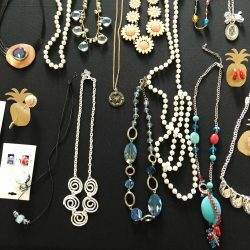 You must inspect every room of your house like a four-star general, looking for wires and other dangerous objects (like plants) that could cause harm to your rabbit. If you have a computer room, you might allow your rabbit access to every room except that one. The more room your rabbit has, the more delightful you will find her as a pet and companion.